When you hear about Cuba, scuba diving is not the first association that comes to your mind. Handmade cigars, aged rums and old cars are what most people think about, but what if I told you that Cuba hosts the third largest reef in the world? 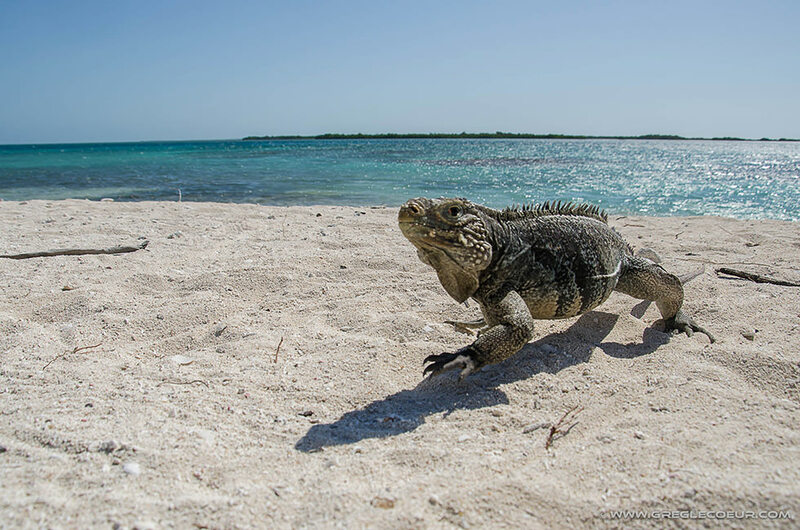 The Gardens of the Queen, or Jardines de la Reina in Spanish, is a complex ecosystem of small virgin islands and mangrove forests where you can find untouched reefs, curious sharks and mighty crocodiles. 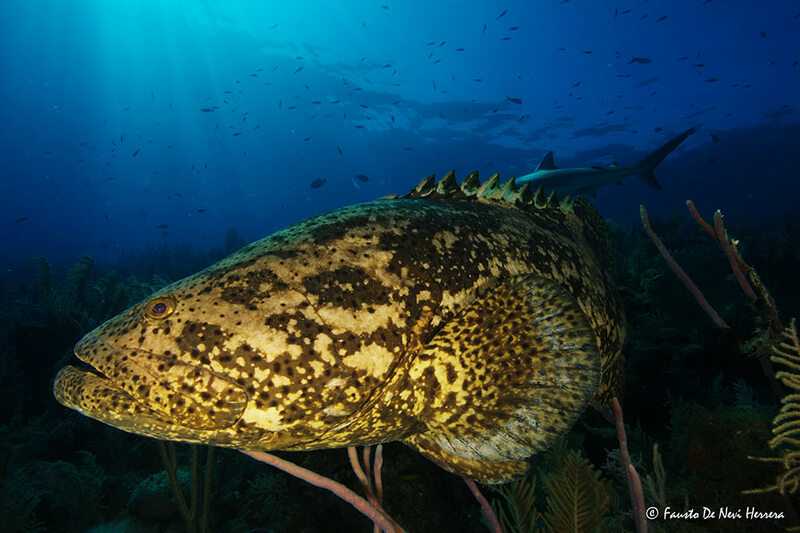 Located 50 miles (80 km) off Cuba’s southern coast, extending for 93 miles (150 km) and with an area of 840 square miles (2,170 km2), this is one of the largest protected areas in the Caribbean. It’s time to add Cuba’s Gardens of the Queen to your diving bucket list. Explore this magical ecosystem and complement your visit with some culture, cigars and rum. The Jardines de la Reina lay parallel to the Cuban coast and are reachable by boat from Jucaro, a small harbour in the Ciego de Ávila province. The boat ride varies depending on the weather conditions and is usually between two and a half and five hours depending on the boat. From Havana to Jucaro, it takes around six hours by bus, taking it easy and with a couple of stops. If you’re in a hurry and have a car, you can probably make it in four and a half to five hours. The streets are pretty good, just keep an eye out for a few holes here and there. Once you have arrived in Jucaro, you’ll embark either directly on the liveaboard you’ve booked or on a speedboat that will take you to a floating hotel in the middle of the Gardens of the Queen. At the time of writing, the only dive operator diving in the Jardines de la Reina is Avalon. 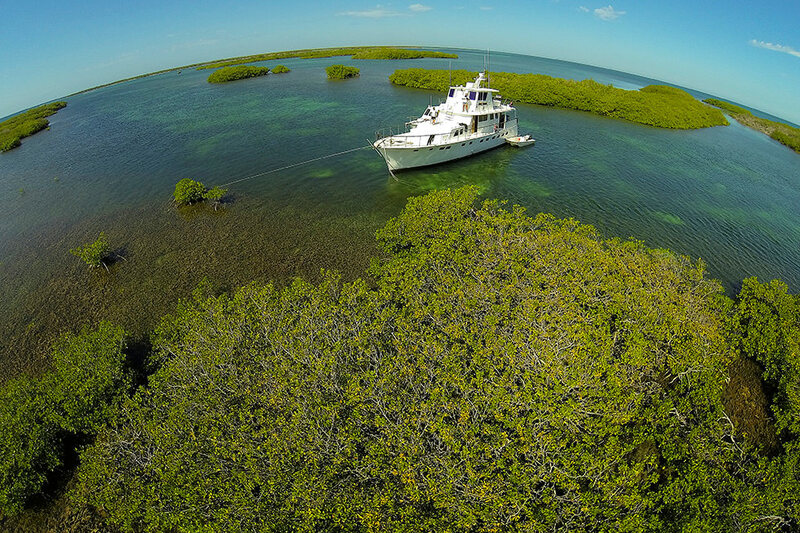 They own five liveaboards and one floating hotel anchored in the middle of the mangrove labyrinth. The floating hotel, called Tortuga, is a stable and refurbished, steel houseboat with eight cabins that host up to 16 divers. It’s very comfortable and spacious, and is the best choice if you suffer seasickness. All dives, usually two in the morning and one in the afternoon, are carried out on two small and fast dinghies. The farthest dive sites are about a 20-minute ride, so it’s very comfortable to stay on Tortuga and dive from there. The rest of the fleet are “real” liveaboards: Avalon I, Avalon II, Halcón, La Reina and Georgiana. These boats move around the Jardines de la Reina and anchor in different areas during your stay. In the same manner as the Tortuga, the dives are also carried out with the help of smaller dive boats. Keep in mind that both the Tortuga and the rest of the fleet dive in the same spots. So choose the accommodation that best fits your preferences because the diving is the same. 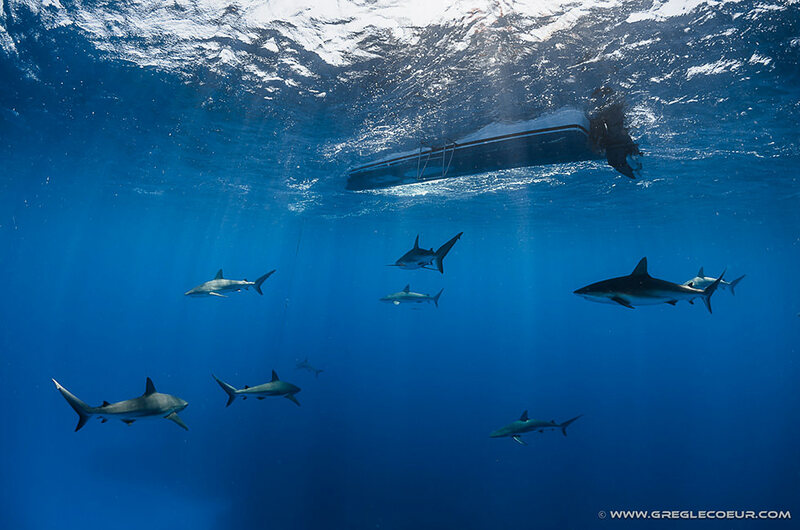 Be aware, there is no other option for diving the Gardens of the Queen than a liveaboard or the Tortuga. Avalon is the only operator and there is no way to go diving here on daily trips from Cuba’s mainland. There is almost no current, and most of the area is protected from waves and rough seas. The water is warm, averaging between 79 °F (26 °C) and 84 °F (29 °C). Visibility is great, often 100 feet (30 m) or more. It is a safe environment for beginners and, thanks to the great marine life, also a great place for experienced divers. Here you’ll mainly take part in two types of dives: shark and reef dives. The Gardens of the Queen are a prime destination for shark diving. 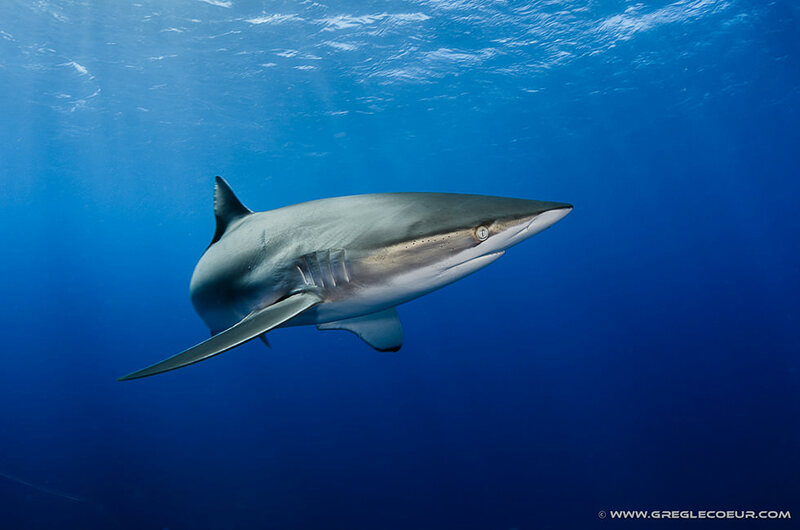 You can see sharks on most of the dives but there are specific spots where you can encounter up to 30 of them. 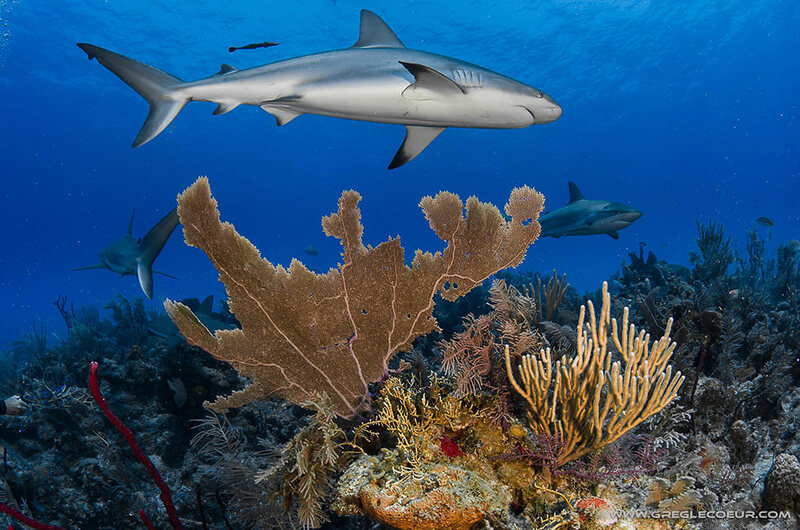 These 10-foot (3-meter) caribbean reef sharks and silky sharks will come pretty close to you. They are not afraid, and you shouldn’t be afraid either. Get comfortable and still, and admire these sharks swimming around you. Usually big groupers join the feast too. In the blue you can spot barracudas that are too shy to join in but still pretty to look at from afar. 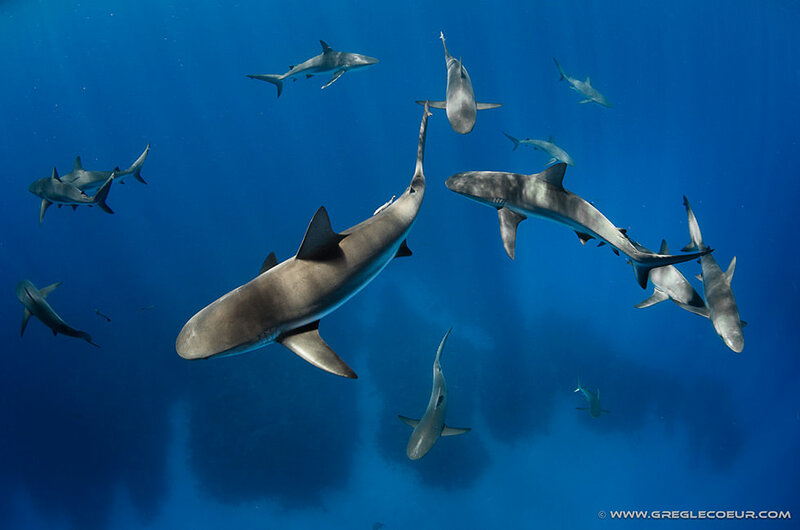 Some of the best shark dive sites are Pipín, Black Coral I and II, and Five Seas. The reef here is a healthy garden of soft corals, sponges and sea fans. Stunning landscapes like canyons and pinnacles complete the picturesque scene. Don’t expect vivid colors like in the Maldives or the Red Sea. The colors in the Gardens of the Queen are slightly hued but still impressive. Some of the best reef dive sites are Farallón and Vicente. If you're one of those people, like me, that needs an adrenaline rush every now and then, you can’t miss this. 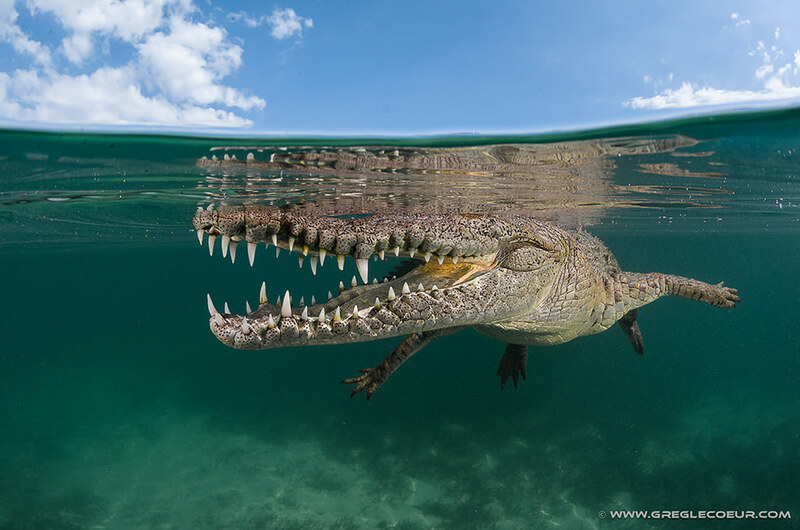 There are a couple of areas in the mangrove where you can find crocs, and you can snorkel with them! Of course ask the guide before jumping in, enter quietly, move slowly and you’ll be surprised how close you can get. The water is a bit cloudy there, but don’t forget your camera. It will be a stunning shot! 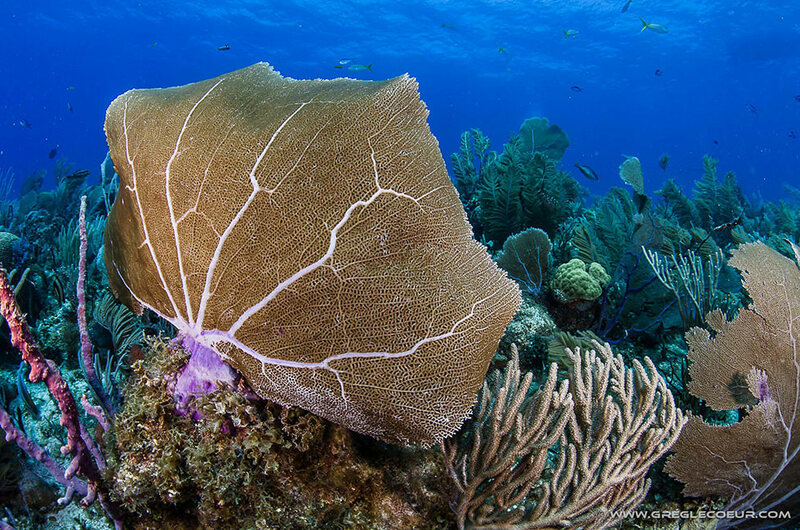 Cuba is a year-round diving destination. There are some times of the year when diving is slightly better or worse but I feel comfortable recommending it during any month. To be picky the high season and best time to go is December through April when you’ll find the best possible weather. November to April is the dry season and May to October is the rainy one. Also notice that in October there is the highest risk of hurricanes, which is still pretty low. As mentioned before the only dive operator diving here is Avalon and, of course, Diviac Travel offers their boats and packages. If you suffer seasickness, you’d rather stay in a hotel than on a liveaboard, or you’re not sure you’ll be doing three dives a day: pick the Tortuga. It’s a safe bet. If you want to dive with Nitrox and prefer luxurious accommodations rather than simple ones: pick the Avalon II. It’s the only option with Nitrox. If you don’t care about Nitrox but prefer luxurious accommodations: pick the Avalon I. It’s like the Avalon II but without Nitrox. If you like it cozy: pick the Halcón. It has only 6 cabins and a maximum 12 divers. If you’re careful with your budget: pick La Reina. It is the most economic solution. Book your next scuba holiday today or get in touch with us to learn more about the Gardens of the Queen.